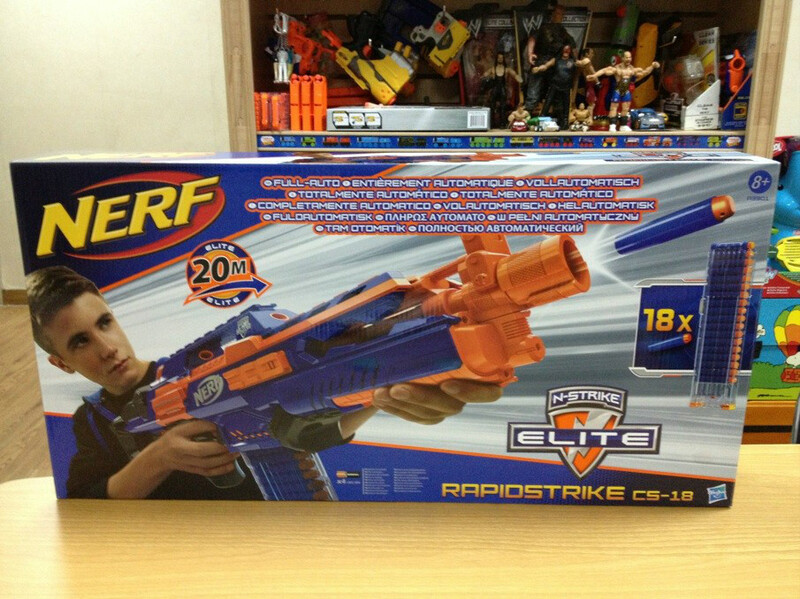 Rumours: Nerf N-Strike Elite Rapidstrike CS-18 detailed pics: I'll take several thanks. 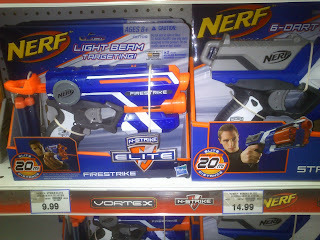 Again, I have to say this- these pics are NOT mine, I found them on the internet on Baidu. 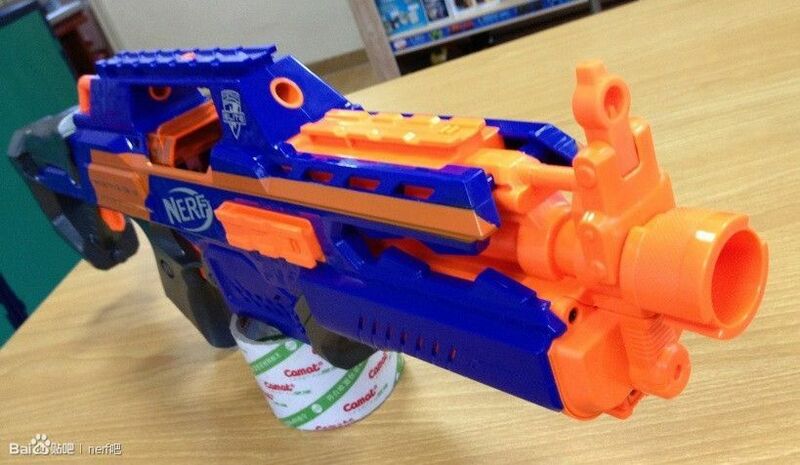 I have no affiliation with Baidu OR 'Captain', I don't own this blaster, I haven't asked anyone to do this for me, but I think this is going to go to great lengths in generating buzz for the Rapidstrike and now you're all gonna go out and buy HEAPS because you're amped too. 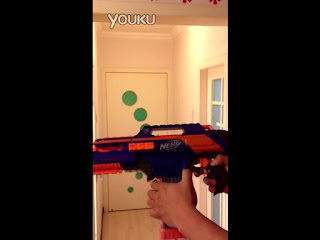 A firing video of the upcoming Nerf N-Strike Elite Rapidstrike surfaces on Baidu. Yup, if you really need confirmation it's a flywheel, here it is. What's very cool though is checking out the full auto performance- it's a lot faster than people have speculated. Video after the jump:) I have to admit.. I'm keen as! 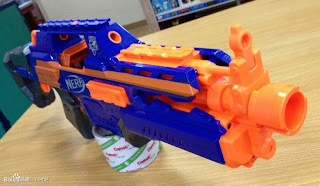 We're the first to say we love feeding the toy blaster rumour mill, mainly because there's a good chunk of what we report that actually turns out to be true. 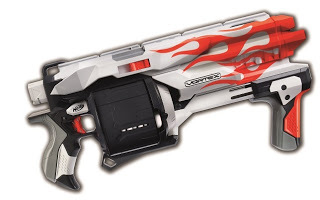 Normally we're on the money when it comes to new actual blasters, but it's the variations that make for more interesting reading. We'd like to think we're reputable, and we can tell what's legit and what's not.. but really let's face it- when it comes to rumours, only Hasbro can really say what's OFFICIAL and what's not. How cool are rumours though? :) So let's begin with... the upcoming new Vortex Revonix360- we know it's coming.. but what with? Well, this was bound to happen eventually:) Here are some pics from the proposed upcoming new Nerf N-Strike Elite Rapidstrike CS-18, as posted on Baidu by "Babysong". 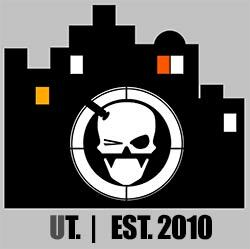 I think this is one where I think it's best to leave you guys to make your own assumptions up on it (readers always spot things I always miss!) 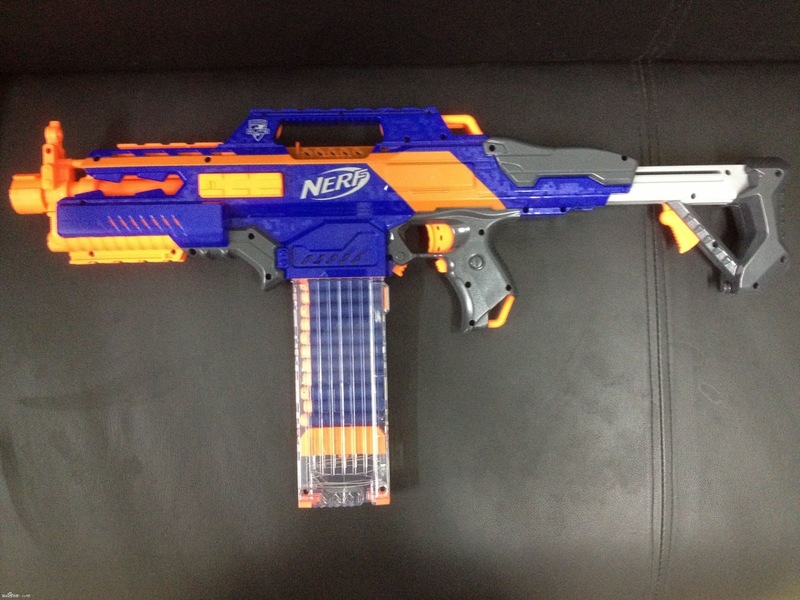 , but I have to admit I am really impressed with this baby's design. 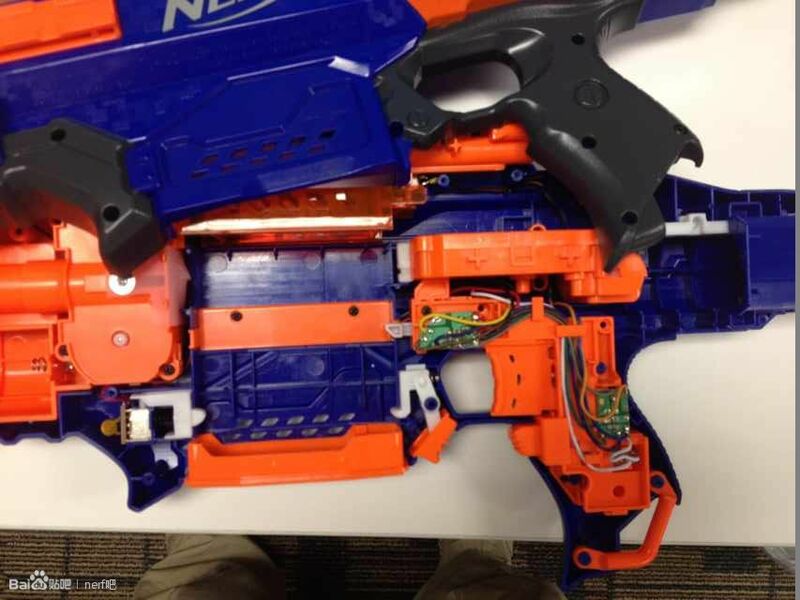 The stock and the iron sight.. WOW. More pics after the jump and I'm of course interested in your thoughts. Thanks to all those who emailed me through on this. 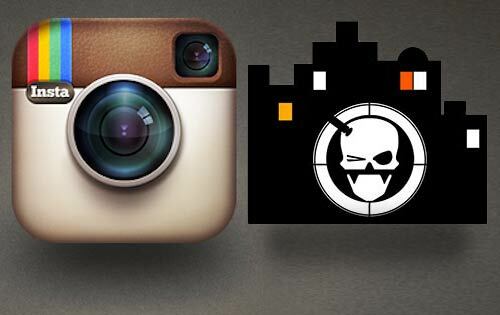 As always, NO I don't have one- it's not mine nor are they my pics! Thanks to all those who emailed us with this and Browny who commented with the details! 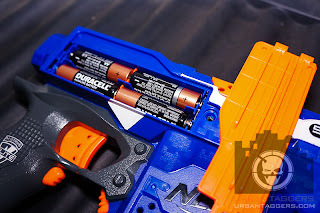 Nerf N-Strike Elite grey trigger confusion: solved! 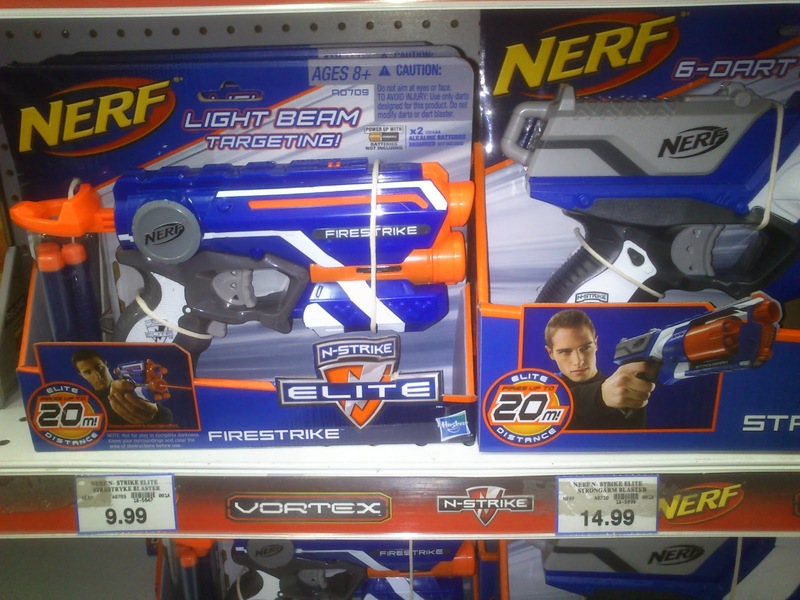 On launch, the Nerf N-Strike Elite line in Australia (and other places worldwide with equally strict safety measures) were released with grey triggers and de-tuned performances, meaning the packaging would reflect "15m" labels as its maximum distance. 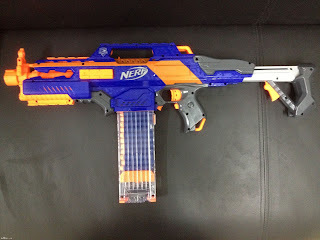 This of course was weaker than the "75ft" or "20m" ranges that its orange trigger counterparts in the US/UK were boasting. YouTube: Slingshot Channel - Condom blaster?! I love Joerg Sprave, his Slingshot Channel is just awesome viewing and aside from the quirky humour and his mad accent, he's really quite the innovative engineer. This time around is his response to a much publicised Grand Challenges in Global Health Program call for a new and improved condom and applicator with 100k up for grabs if you're successful. 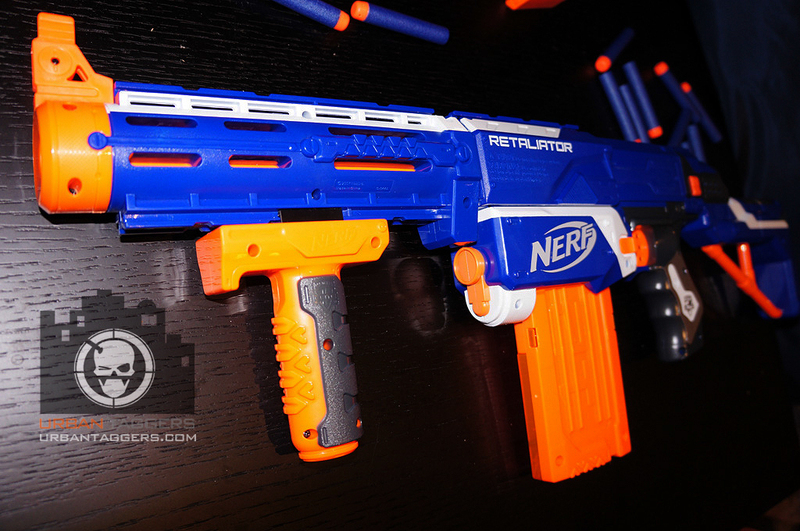 Other than the awkward “we don’t talk about him at parties” Hailfire, I’d have to say my least favourite Nerf N-Strike Elite series blaster is the Retaliator. It’s not that it’s bad per se, it’s just I never really liked the Recon in the first instance, so regardless of how much better it performs, for me it’s still a Recon. 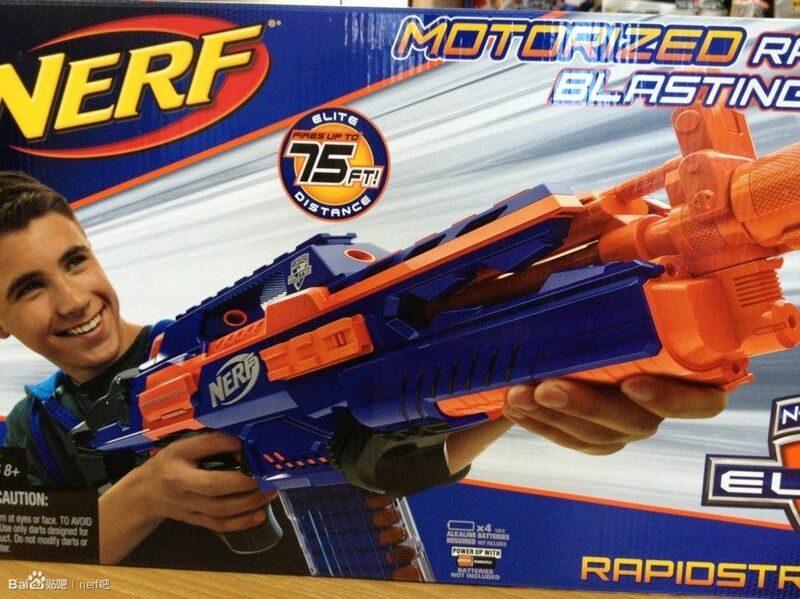 It’s still got the awkward top sliding cocking mechanism. Ugh.